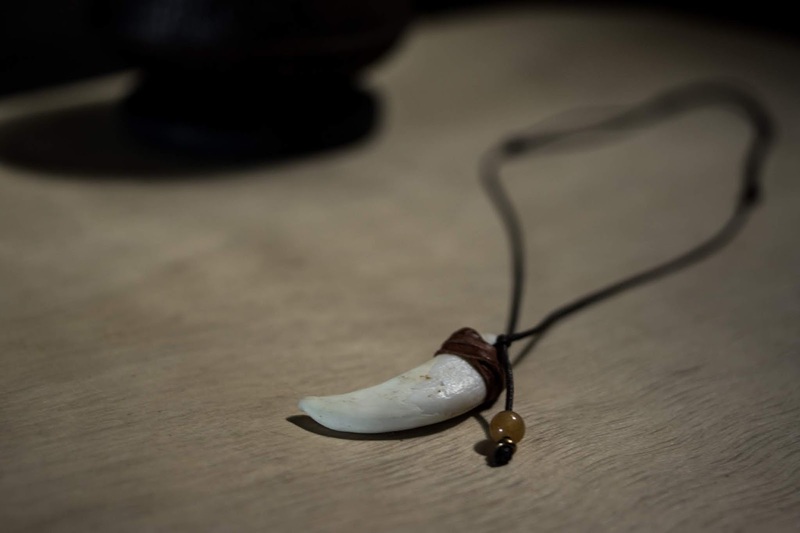 Hunting is becoming less and less popular in Japan to the point where the agriculture ministry is having to make efforts to promote the sport in the hopes of maintaining some semblance of control over the wildlife numbers--namely deer and boar. 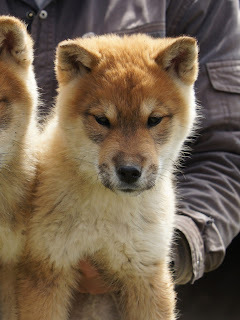 The amount of crop damage done by wildlife is estimated to be roughly 20 billion JPY a year and we see no shortage of that in our neighborhood here in Tateyama. 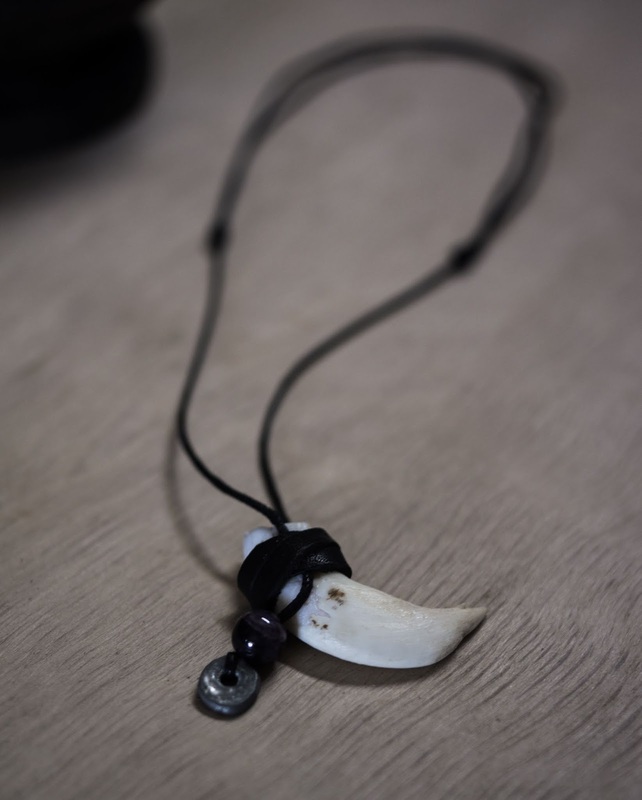 Our local community has asked us to help control the damage by hunting and placing traps in the areas where the boar are running amok. For these reasons (and also because hunting is just an awesome hobby) we do what we do and try to harvest as many boar and deer as we can. The killing of these majestic animals is not something we enjoy but seeing as it is a necessity we do our best to respect it by not letting anything go to waste. 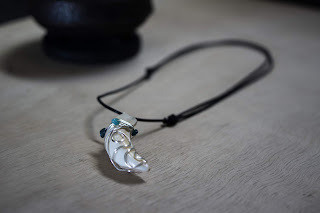 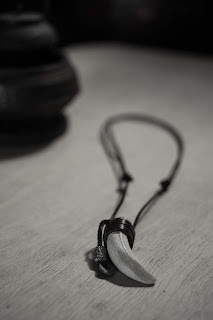 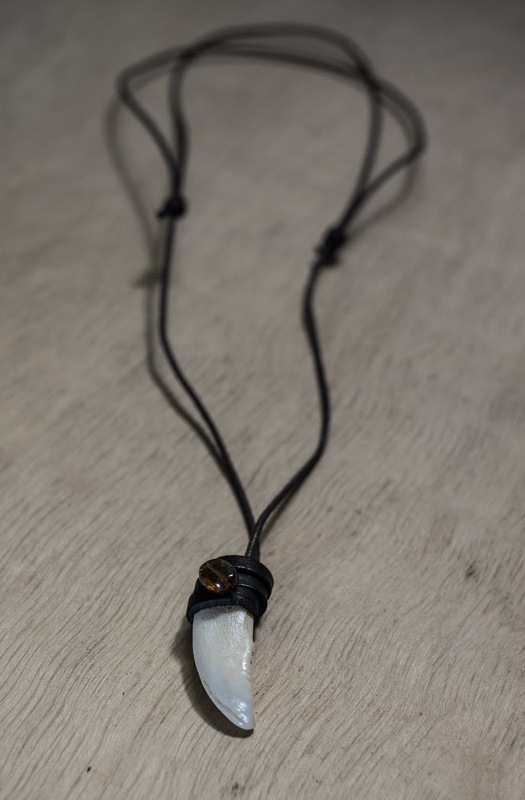 Obviously there are many more reasons why we hunt but that will have to be spelled out in a different blog post as this one is meant to promote the sale of these amazing handcrafted necklaces, so the digression will end here. 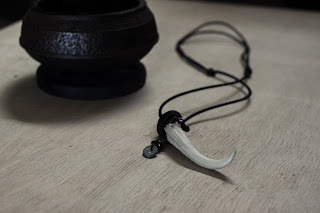 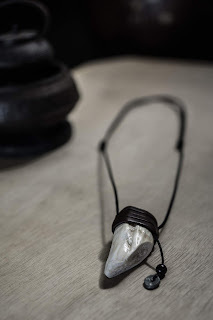 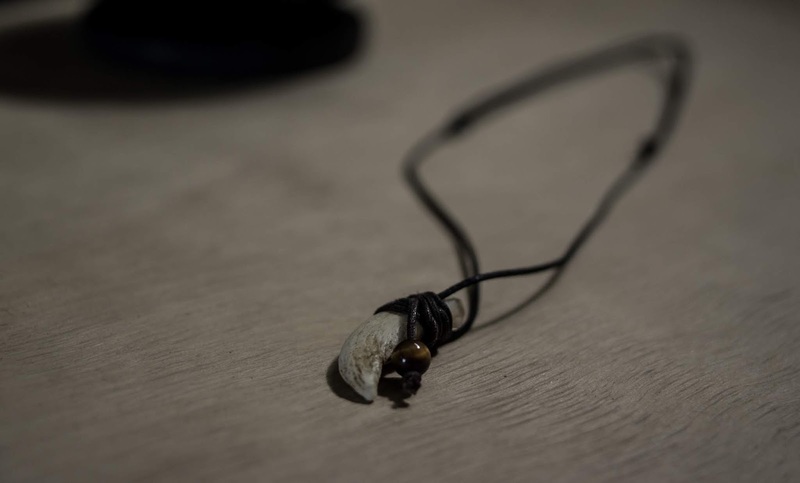 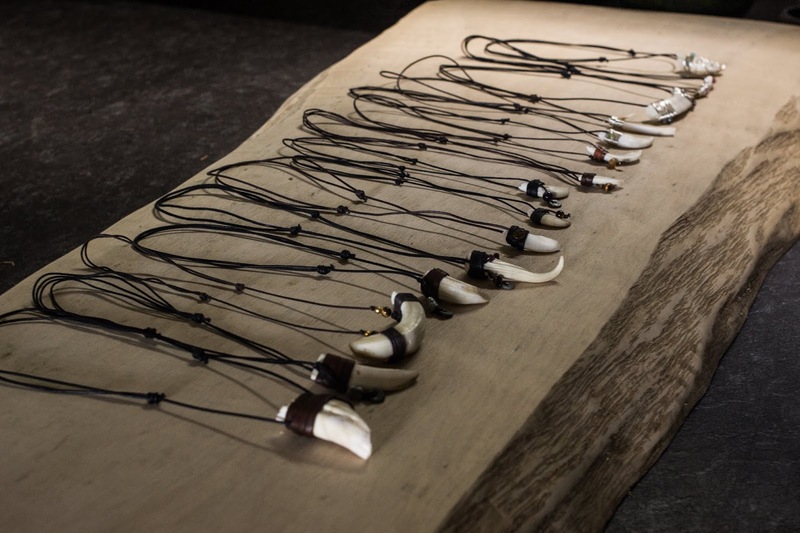 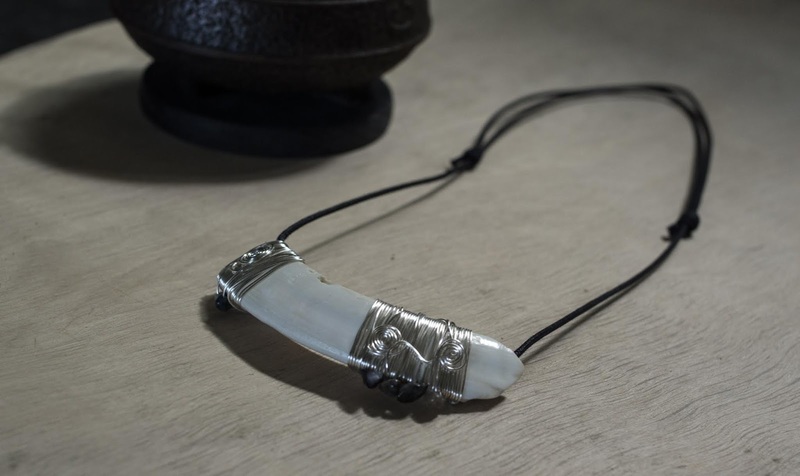 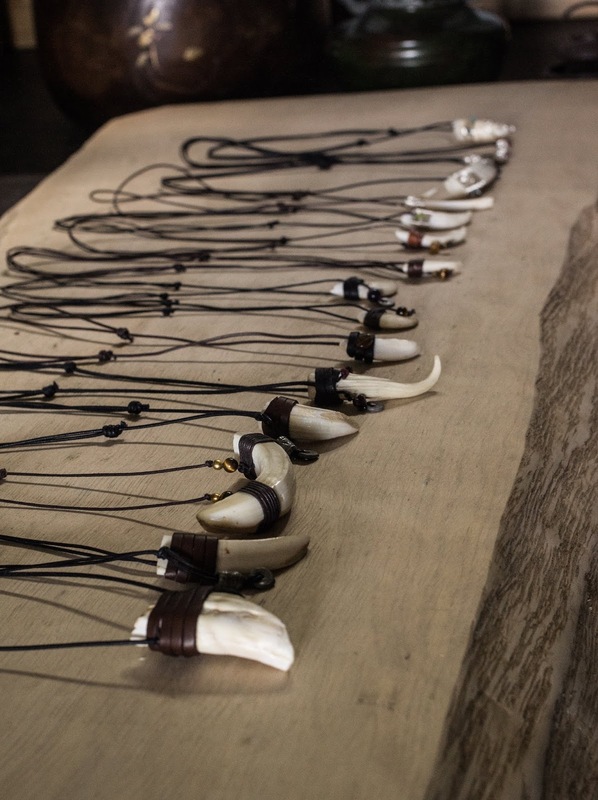 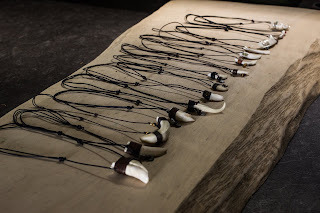 These meticulously crafted necklaces were made by a friend of ours, at our request, using the many teeth/tusks we've accumulated over the years. 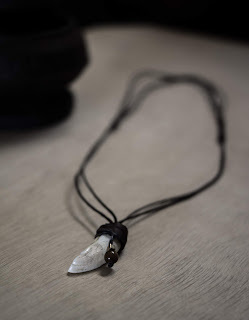 All vary in size but the leather string is designed to adjust to whatever length you want. 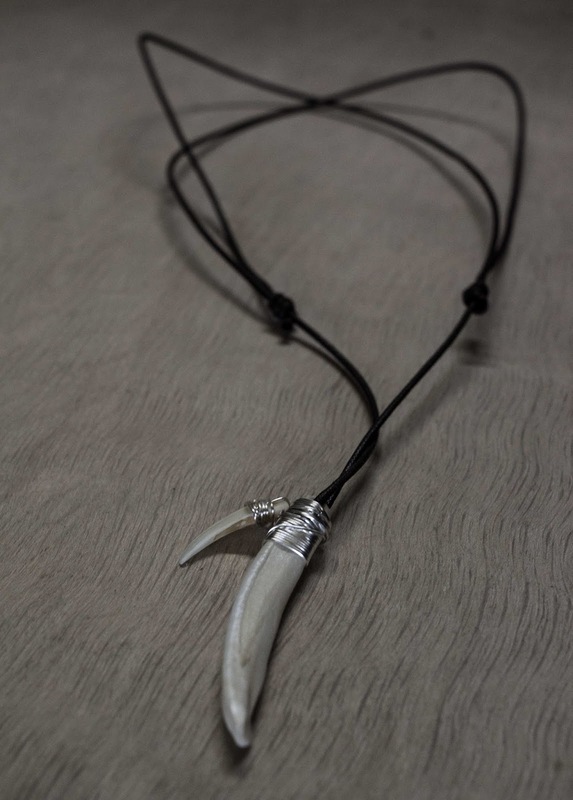 There are both male and female designs and the prices for each one vary but all are between JPY2,500 and JPY4,000. Overseas shipping may include an additional JPY500-1000 depending on your country. 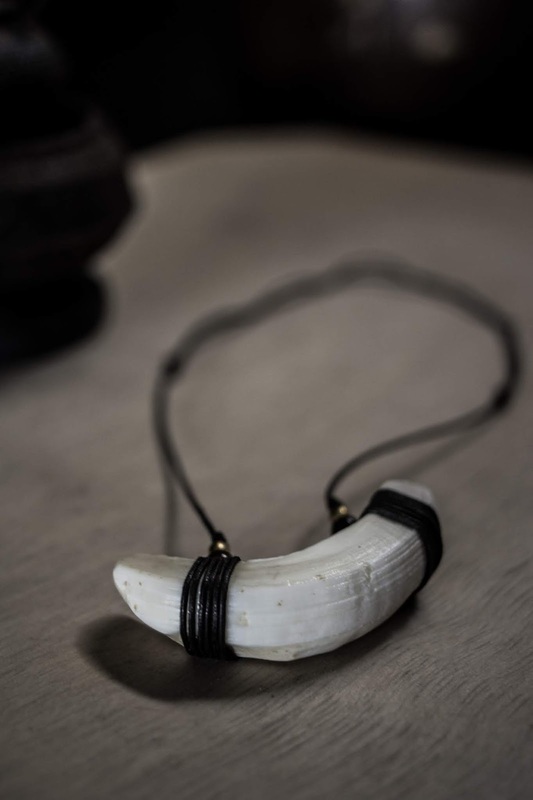 Aside from some retro bling to add to your collection, these make great gifts or can even just be hung up in your house or car (or anywhere for that matter) as decoration. Each piece tells its own story but there's no reason why you can't make up your own because, as a good friend of mine says, "never let the truth get in the way of a good story".